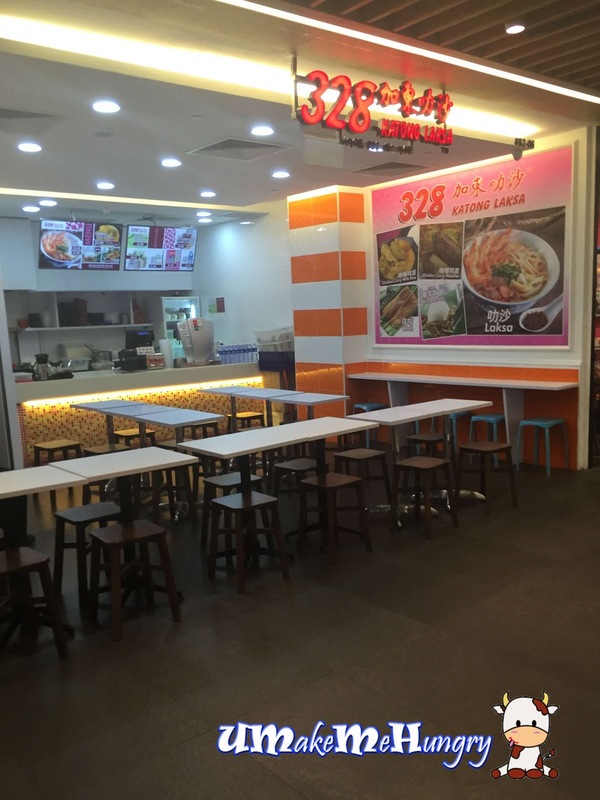 I was quite happy when I saw 328 Katong Laksa in Westgate and had been eyeing for a meal there fore quite sometimes. There was no single customer dining in house during my visit which make me felt rather skeptical about this branch's standard and taste of laksa. Nevertheless, I still went ahead and order my small bowl of laksa at $5. 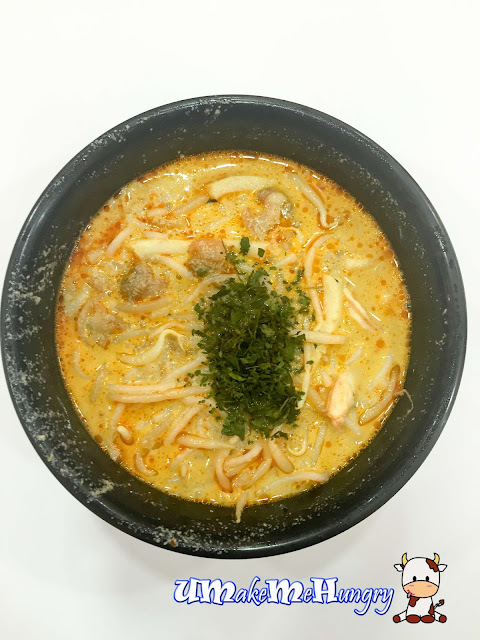 Laksa gravy was heated up over a portable electric stove on a big pot and then scoop onto a bowl of ready prepared ingredients. Since the shop space was rather small, the kitchen is kind of open-concept to the patrons. 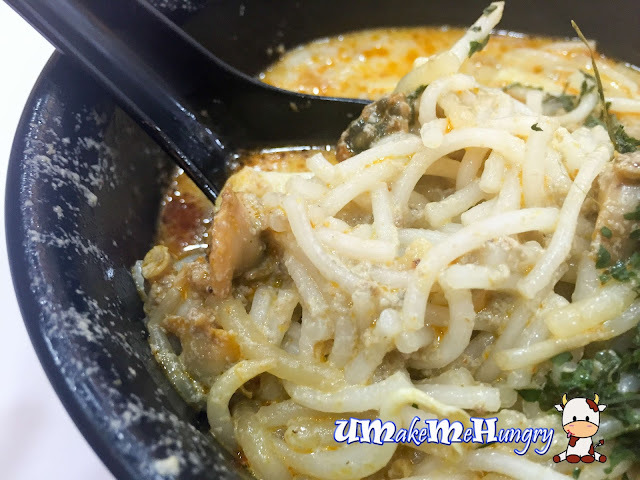 Laksa was welcoming with noodles cut into reasonable length, allowing us to enjoy the dish by using spoon. Gravy was not spicy nor it was any too rich, thus it was rather addictive with the fine chopped laksa leaves bringing additional aroma to it. Ingredients on the other hand were of a good proportional ratio to the noodles with fresh cockles, prawns and fish cakes added. 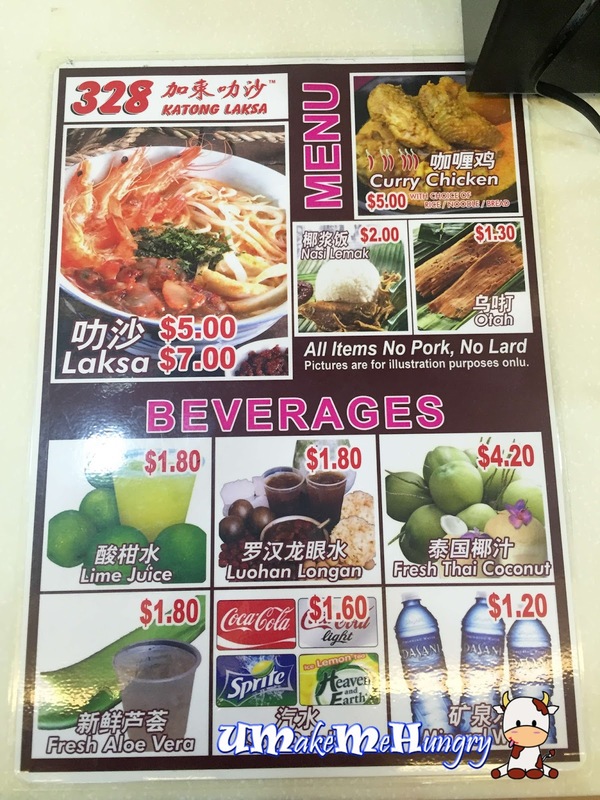 Despite that I have mentioned earlier on that there was no "dining in" patrons, I do notice many were there for take away and its not just 1 bowl of laksa but a few at a go. Thus don't worry that you have to travel to the East for Katong Laksa, we have it in the West side of Singapore too.